[Contains explicit content] Lust. Lies. Lotion. These are...The Hills of Baldwin! From the mind of Jordan Black and the hit improv troupe The Black Version, a completely improvised, unscripted, and utterly unwoke soap opera that takes place in Baldwin Hills -- a.k.a. the black Beverly Hills -- where wealthy CPAs live next to big time rappers and NBA superstars. A place where no money scam is too short and no weave is too long. Now, sit back and listen as we take you from crabs in a barrel to…The Hills of Baldwin. It’s like Empire, Real Housewives and The Young and the Restless mixed together, but with even more drama, cattiness, and absurdity…and without a script! The cast of The Black Version (the long-running improv show hosted at the legendary Groundlings Theatre) jumped into the studio without a roadmap or a safety net, to make up an entire soap opera on the fly and off the chain. Pop some champagne and some popcorn, because it’s poppin’ off on…The Hills of Baldwin! 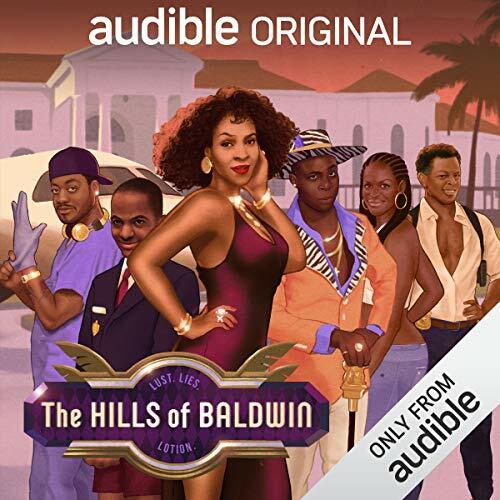 As an Audio Show - free for members - when you add The Hills of Baldwin to your library, you'll get all 10 episodes, each with a runtime of about 25 minutes.